Jean-Luc is the managing partner of the Firm. He obtained an LL.M from the University of Michigan, Ann Arbor, and worked as a foreign associate in the New York- based law firm Sullivan & Cromwell in the early 1980’s before getting back to France and developing the international practice of the Firm. Jean-Luc has over 30 years’ experience in providing guidance and counseling to French and foreign listed and unlisted corporate clients operating in a wide range of sectors with respect to their operations and business dealings in France and Europe. His practice covers M&As and international corporate transactions, international contracts, competition & antitrust law as well as international litigation and arbitration. He also provides legal advice to associations, foundations and endowment funds. 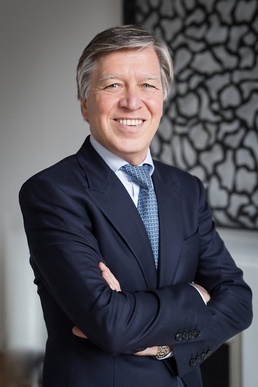 Jean-Luc Soulier served as Director of the World Law Group and President of the World Law Group Marketing Committee from 2003 to 2005 and acts as ICC arbitrator since 2003. He is a member of several professional associations and the author, co-author or co-editor of numerous national and international publications. Comparative International Business Acquisitions (2nd edition), Kluwer Law, 2007.
International Securities Law Handbook (2nd Edition), co-editor, Kluwer Law International, 2004.
International Business Acquisitions, Kluwer Law, 1999. Euro Handbook, France chapter, World Law Group Ltd., 1999. Comparative Environmental Law and Regulation, Oceana Publications, 1997. Securities Law in France, International Securities Law Handbook, Graham & Trotman/Martinus Nijohoff, 1995. Creating and Structuring International Joint Ventures in France, International Business Lawyer, 1991. Guide Juridique et Fiscal de l’exportateur, C.F.C.E., 1987.